"Aromas of dried fruit, mushrooms and bark. Ripe-fruit undertones. Full body, chewy tannins and a flavorful finish. Needs time to soften. Powerful Cannubi. Better in 2020." 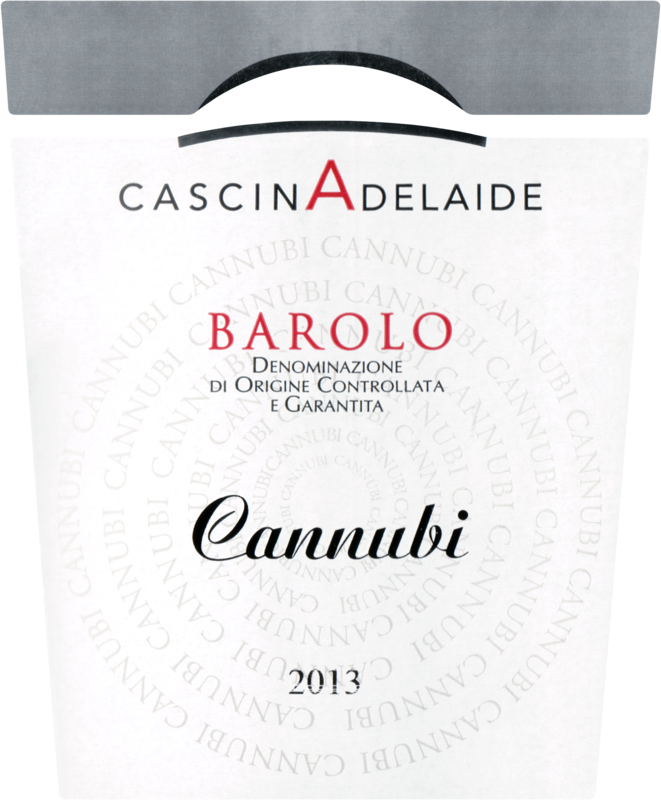 " Leans toward the savory, vegetal side, offering eucalyptus, wild herb and wet straw flavors around a kernel of cherry. Tobacco and iron notes line the finish. Elegant overall despite the solid tannins. Best from 2022 through 2040. 300 cases made. " "The nose is sweet and slightly confected, with vanilla tones, but the palate is very concentrated, full-bodied and zesty. It's a wine with energy and punch, without being too assertive." 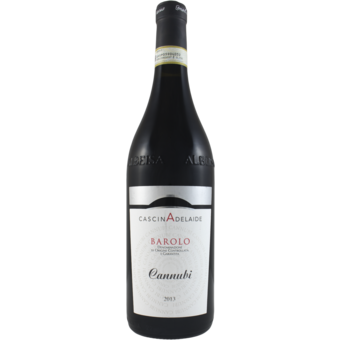 "The 2013 Barolo Cannubi is a delicately perfumed wine that shows fine aromas of pressed rose, wild berry, tar, licorice and bright cherry cola. The wine is vibrant and pristine in terms of its intensity, yet it delivers that intensity with measured precision. I remember a time not too long ago when Cascina Adelaide adopted a very different approach to winemaking with more evident oak influences. Fast forward to today, and the estate's wines are fine and finessed instead. They show a very positive stylistic evolution. Give it a few more years of cellar aging. Cascina Adelaide has tweaked its winemaking style, moving away from the oak-heavy expressions of the past and embracing more delicate fruit-driven wines instead. I am absolutely impressed by this well-conceived turnaround."